At the start, the final rules governing accountable care organizations emphasize quality measurements. Provider groups planning to participate in the Medicare Shared Savings Program (MSSP) as accountable care organizations (ACOs) now know the lay of the land. Released by the Centers for Medicare & Medicaid Services (CMS) last October, the final rule outlines, among other things, the data reporting requirements ACOs will need to meet for inclusion in the plan. The final rule outlines 33 quality reporting measures, which were whittled down from the 65 included in the previous version. “They focus on clinical processes and patient experience-of-care measures,” says Shefali Mookencherry, MPH, MSMIS, RHIA, principal consultant of strategic and advisory services for Hayes Management Consulting. The rule’s 33 measures are categorized into four domains: patient/caregiver experience, care coordination/patient safety, preventive health, and at-risk population care. Adequate reporting of the nearly three dozen measures will be the focus during the first year of the program. “Basically what happens is, for the first year, ACOs just have to report on these quality measures,” Mookencherry says, adding that in years two and three, ACOs will begin transitioning from a reporting-only to a pay-for-performance structure. By year three, all but one measure will become pay for performance. In a MedeAnalytics white paper, Perez’s team says the rule’s approach is structured “to encourage participation and reduce the reporting burden,” and the criteria show “a clear preference for ambulatory-related measures.” Patient experience-of-care surveys, readmission figures, EHR use, and screening and immunization data are among the measures encompassed in the final rule’s first three domains, while the fourth, which covers at-risk populations, includes metrics on diabetes, hypertension, ischemic vascular disease, heart failure, and coronary artery disease. Several of the at-risk population measures—most of the diabetes metrics along with both measures related to coronary artery disease—are of the all-or-nothing variety. To reach the final rule’s 33 measures, experts say the CMS made great efforts to understand provider feedback and address concerns where possible. “CMS has been very clear that they heard what the public had to say in the public comment period before issuing the final rule,” Mookencherry says. After careful evaluation of more than 1,300 comments, the rulemakers implemented a host of changes, including mitigating or removing much of the MSSP criteria surrounding meaningful use, although the incentive program itself remains unchanged. However, Mookencherry says some meaningful use criteria are still included. For example, EHR use is no longer a requirement, but the metric carries greater weight than other measures and will allow ACOs that use the technology to earn higher quality scores. 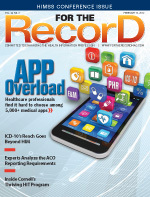 This is likely to encourage ACOs to leverage EHRs in some form, according to Mookencherry. Some of the public comments and CMS responses, which are summarized in the final rule, were quite conversational, leading many experts to believe the highly interactive process and the federal agency’s responsiveness resulted in enormous improvements to the draft regulations. “The changes from the proposed regulations to the final regulations were extensive—and they were positive changes,” says Karen Ferguson, associate director of regulatory affairs at the American Medical Group Association (AMGA) who believes that because the program is voluntary, the CMS was keen to make the business case positive and strong. Organizations already participating in federal programs will likely see significant overlaps between the data they are already reporting and the measurements required under the ACO/MSSP final rule (see table). Items such as EHR use tie into meaningful use, Mookencherry says, and are also part of the ACO measures. In addition, the clinical quality measures “are similar to the Physician Quality Reporting System [PQRS],” she says, which may be reported through the group practice reporting option, a Web-based data collection tool and the same portal ACOs will use to submit data on their 33 quality measures. “You can see CMS is trying not to have duplicative systems out there where you have to enter things many times,” Mookencherry says. Because of the large number of overlaps between the measures reported under the final rule and other federal programs, many ACOs won’t need to reinvent the wheel. However, there are some key infrastructure and process points that will facilitate gathering the necessary data sets. “While the way these measures are reported can technically be done with paper charts,” Cuddeback says, “the people who have been doing this for a while find that an electronic health record is really important to be able to do this efficiently.” The mechanics of collecting data for submission sets the stage for a care process design that ensures patients are receiving good care while simultaneously monitoring favorable performance on the program’s measures, he adds. “It really encourages organizations to think about planning the encounters and having support systems in place, both people and technology, to ensure good care coordination,” Cuddeback says. In a report released in August 2011 prior to the publication of the CMS’ final rule, KLAS Research talked with organizations pursuing ACO and meaningful use initiatives about the trend toward greater reliance on business intelligence (BI) tools and methodologies. “They mentioned needing to invest in data warehousing and BI tools that will help them do this kind of reporting,” says Colin Buckley, the research firm’s strategic operations manager. For ACOs struggling to get their reporting processes in gear, experts say several communication channels will be available to help them conform to the program. The 10 CMS regional offices across the country may offer organizations a less intimidating avenue than contacting the main office in Washington, DC, as well provide a local resource that may be familiar with a particular area’s ACO. Perez believes the CMS wants ACOs to be successful within the program and says a grace period will allow time to evaluate and fix outstanding issues, be it unclear submissions or a lack of timely reporting. However, if the time frame passes without those problems being resolved, he says the final rule clearly spells out potential consequences: The noncompliant ACO will likely find itself out of the program. Even though the CMS incorporated a significant amount of feedback and suggestions when formulating October’s final rule, most experts agree the ACO reporting and performance requirements are likely to grow. “Certain things about it could evolve,” says Ferguson, who expects the CMS to continue reaching out to providers for ongoing discussions. “The other thing that needs to be considered is that the ACO program is just one of many federal initiatives,” she notes. In her opinion, it’s likely that it and other programs will eventually be tied to full reimbursement under Medicare. She believes the totality of resources involved in organizing as an ACO, reaching out to partners as part of those efforts, preparing for ICD-10 compliance, and the other issues facing the healthcare industry have the potential to be “disruptive” and that participants should expect a learning curve. “Anything that affects something as large and complex as the healthcare system as a whole is going to be disruptive,” Cuddeback says. “I think it’s important to recognize that people have an awful lot on their plates,” including ICD-10 projects and meaningful use efforts, as well as the changes coming in conjunction with PQRS requirements. “Beginning in 2015, providers won’t get full reimbursement unless they’re doing PQRS reporting,” he says. Risk-Standardized, All Condition Readmission: The rate of readmissions within 30 days of discharge from an acute care hospital for assigned ACO beneficiary population. Hypertension (HTN): Blood Pressure Control: Percentage of patient visits for patients aged 18 years and older with a diagnosis of HTN with either systolic blood pressure ≥140 mmHg or diastolic blood pressure ≥ 90 mmHg with documented plan of care for hypertension. Coronary Artery Disease (CAD) Composite: All or Nothing Scoring: Angiotensin-Converting Enzyme (ACE) Inhibitor or Angiotensin Receptor Blocker (ARB) Therapy for Patients with CAD and Diabetes and/or Left Ventricular stolic Dysfunction (LVSD). Percentage of patients aged 18 years and older with a diagnosis of CAD who also have Diabetes Mellitus and/or LVSD (LVEF <40%) who were prescribed ACE inhibitor or ARB therapy.